This is always one of my favorite weeks of the year. As we gather to give thanks for and with our loved ones, 396 years since the first Thanksgiving, this week also marks the 62nd annual National Farm-City Week. It is only fitting that we celebrate both of these occasions at the same time. After all, the early settlers came together to rejoice over a successful harvest that would sustain their colony. The Thanksgiving experience certainly has changed over the years, but Farm-City week gets us back to our traditional roots. We can sometimes lose sight of this in modern times, but farmers work diligently year-round to put food on our tables. We owe them a tremendous debt of gratitude. Without them, we could not enjoy our American way of life. For some context, my brother and I were “the city cousins” growing up. Our grandparents on both sides of the family were farmers; my dad’s parents were poultry farmers (really they called themselves “chicken farmers” back then) in Crenshaw County, and my mom’s parents grew soybeans, cotton, and peanuts and had a small herd of cattle near the line between Pike County and Bullock County. We would spend our time at one of the two farms during the summer, on weekends, and for holidays. However, unlike our cousins, we lived in the city because my parents moved to town so they could both teach school. While we were fortunate enough to experience life both on and off the farm, most families only know one of the two lifestyles. That’s why since 1955, this week has been designated as National Farm-City Week. It is the time of year when we focus on increasing understanding between people on and off the farm. You really do not know what it’s like to be in someone else’s shoes until you have walked in them. To that end, the Alabama Farm-City Committee does a tremendous job throughout the year providing educational programs and first-hand experiences to bridge the gap and increase understanding. Even with these differences between farm and city life, rural and urban communities rely heavily on each other for their livelihood. On one hand, farmers work diligently to produce high-quality food, fiber, and forest products for everyone to enjoy. Getting these products from farms to homes across the state, country, and world requires cooperation with people across many industries and walks of life. There are manufacturing and distribution aspects of agriculture, too. Grocers, truck drivers, factory workers, computer scientists, bankers, veterinarians, chemists, salesmen, and various others all play vital roles in getting agriculture products from the farm into households worldwide. The increased understanding that stems from Farm-City programs leads to better cooperation and a stronger economy. This is a boon for families across our great state. Overall, the positive effect that agriculture has on Alabama year-round is truly unparalleled. While the most direct impact is reflected in this year’s Farm-City Week theme, ‘Agriculture: Food for Life,’ there are many lesser known “ag facts” that I would like to share. For instance, farmland covers approximately a quarter of our state and forestland covers two-thirds. This provides a significant benefit when it comes to ecosystem services. Second, Alabama is home to around 43,000 farms, most of which are family owned and operated. The influence goes way beyond these families, as nearly 600,000 Alabama jobs are dependent on agriculture. Between agriculture, forestry, and related industries in Alabama, the annual economic impact is over seventy billion dollars. This does not even include the social benefits of agriculture in our state. Alabama farmers are pillars of their local communities who are giving of their time, talent, and resources. They practice a core belief of mine in all of their work: doing more with less. From my personal experience, life on the farm builds character. The scorching-hot summers I spent working in my grandparents’ chicken houses, my shoes caked with chicken litter as I bustled about trying to keep the chickens from killing each other, helped teach me the virtues of hard-work. This has stuck with me throughout my life, and I am forever grateful for my time on the farm. Which brings us back to Thanksgiving. Let’s challenge ourselves this year. We have so many things to be thankful for in Alabama. But all we see in the news is negative. Let’s count God’s blessings and highlight the things that we love about our state. Most importantly, we still live in a state of God-fearing people. We are also blessed to have an abundance of natural resources in Alabama. We have the most navigable waterways in the country, allowing goods to flow in and out of the state. We have a huge supply of coal that provides jobs for so many families and helps keep electricity rates low for everyone. Our beautiful land and bodies of water make our state a premier destination for hunting and fishing. Alabama is also blessed to have tremendous farmland, ranging from the dark fertile soil in the Black Belt to the bountiful Tennessee Valley. The unemployment rate just hit an all-time low, and we are moving in the right direction with workforce development. Our manufacturing sector is thriving, with new companies making Alabama home left and right. And so, so much more. We are truly blessed, and I am proud to call Alabama home. Happy Thanksgiving and happy Farm-City Week! Our state’s great farmers work hard so that we can focus on our families and enjoy cherished traditions this Thanksgiving Day. So, if you see a farmer during the holiday season, be sure to thank them. This week and throughout the year, we should be grateful for everything they do. When you are saying your prayers, please ask God to continue blessing our farmers and our great state. 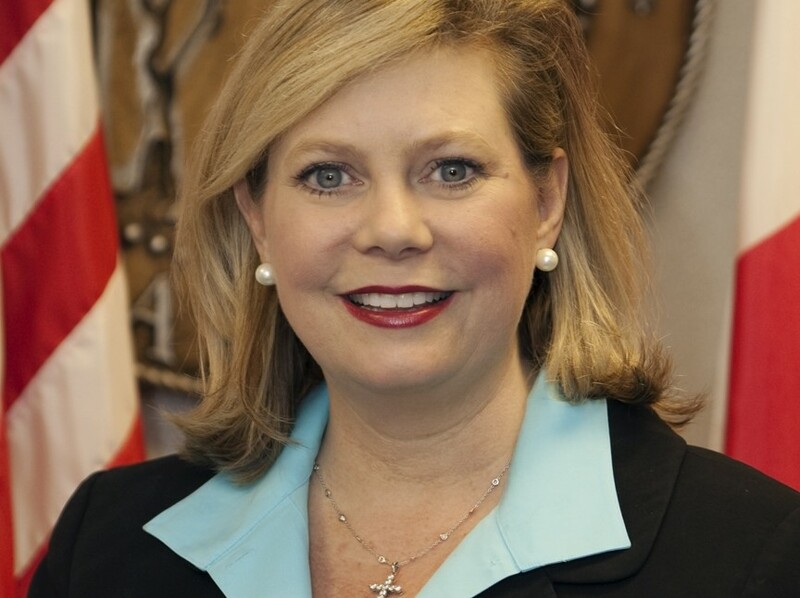 Twinkle Andress Cavanaugh is the President of the Alabama Public Service Commission. Opinions expressed do not represent the position of the Public Service Commission or its other commissioners.